From probable in 2008 to possible in 2012 to impossible (as in it’s not going to happen) in 2016, Mitt Romney is itching to get back to doing something, anything that would take him out of the house. Despite the seemingly closeness the couple has, Mrs. Romney has been no fun at home since Romney loss of the 2012 election to Barack Obama at a time the country was in one of the worst economic shapes and Mr. Obama approval rating was at a mere 48%. Sure, Romney should have won; in fact, Romney could have won the 2012 presidential race if only he ran as himself instead of reciting scripts handed to him by “the campaign experts” in the political arena. Pundits blamed Romney’s defeat on his famous bashing of the 47% who pay no taxes, caught on tape – which became the turning point in the Romney campaign – but we all know much too well there is no single event in politics which define a candidate’s success (or failure). Let’s leave the past where it belongs, in the past and look forward with Mr. Romney hinting at making another run for the White House in 2016. This is not a decision Mr. Romney made overnight, on a whim or on the fly; it is mostly to satisfy the wishes of Mrs. Romney who couldn’t hide the obsessive desire to become First Lady in 2012; she can’t stand now the idea of letting another opportunity – to become the First Lady – pass by. In an interview accorded to ABC’s Diane Sawyer in April 2012, Mrs. Romney said of a possible Romney’s win “… I think it’s our turn now,” after a confident Romney advised Obama “to start packing”. Mrs. Romney also subscribed to the idea that, if her husband kept his mouth shut, she would make it to the White House. That didn’t happen; Mrs. Romney was devastated (after the unforeseen loss to Obama in 2012), teetering depression. Most unfortunately, by the time Romney’s campaign manager “issued a decree” for Mr. Romney to keep his mouth shut, to give no interview (except to Fox Opinion, known by most as Fox News), it was too little too late. 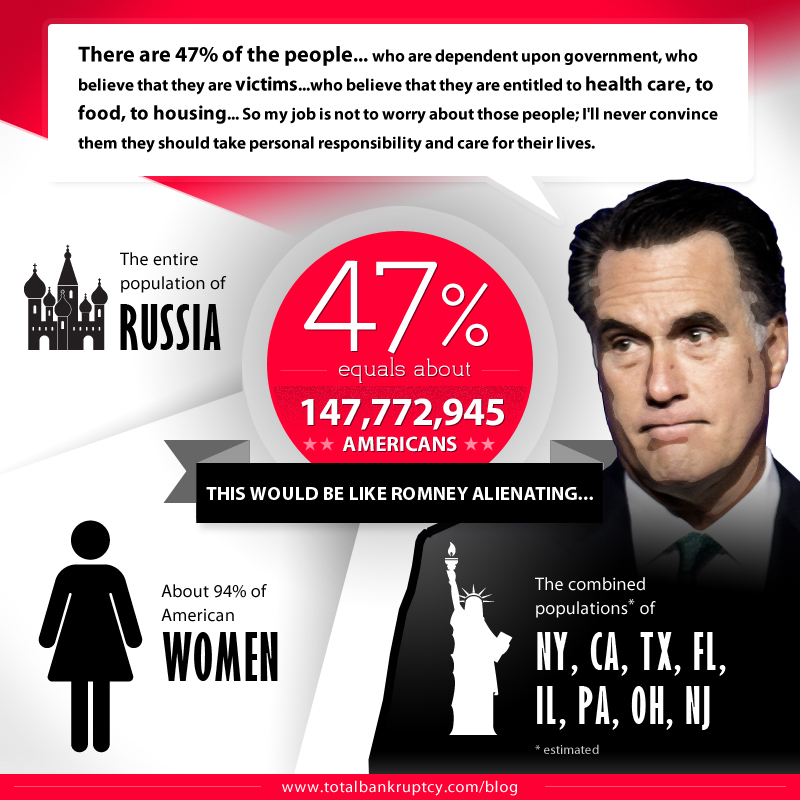 Let’s be fair, Romney is not presidential material. He is by all accounts an astute businessman; and he is very good, there is no denying that. In fact, his famous “Corporation are People too” statement should be a reminder to all, especially those who dream of a Romney administration, that Romney cannot “sell to the American people the same way he’s able to sell to investors. It doesn’t matter how much preparation he gets; it doesn’t even matter how much experience he has running for president – and he has plenty – Mr. Romney cannot and will not make it to the White House. In fact, if he decides to take another jab at the presidency in 2016, he will not make it half way through the primary this time. If Mrs. Romney loves her husband, as she seems to display in public, there is plenty of time to talk him out of this humiliating train ride he is about to embark into. No matter how much money his campaign is able to raise, the possibility to get as far as Herman Cain had in 2012 – who had to drop out due to accusations from women who claimed to have been sexually assaulted – is very slim. Yes, to run for office could be exciting; in the case of the Romneys, they were so close, and yet so far. Mrs. Romney dreamt of walking the halls of the White House as the First Lady. Mr. Obama crushed that dream away but Mrs. Romney is not one to let her dream die down; so, she does the next best thing, re-assure her husband that he now stands a chance to become the next president of the United States; translation, Mrs. Romney will be the First Lady, an obsession Mrs. Romney seems unable to shake off. If Romney is as good as a businessman as I believe he is, he should put the proposition through a business scenario to determine how much is worth the risk, not of walking into the White House as president of the United States but of humiliation vying for the White House. What are the chances for Mr. Romney to win the presidency in 2016? If you’re a Romney’s fan, you’re very hopeful he can make it this time around. But don’t hold your breath; it’s not going to happen. To put it in perspective, even an Obama third term run for the White House – not possible per our Constitution – would be easier achievable than a Romney win. Per my analysis, a 2016 Romney candidacy would stop being viable past South Carolina primary, and that’s giving Mr. Romney a lot of credit due to name recognition – incidentally his biggest liabilities also – which would undoubtedly carry him for a short while but the Romneys should not bet being able to make it all the way to the general elections let alone win the presidency. Jeb Bush who incidentally is also exploring the possibility of a run in 2016 has a better chance of winning the primaries and possibly the general elections despite the messy baggage left behind by his older brother George W. Bush. If I could get Mr. Romney’s ears for a minute, I would say that it would be much less humiliating for him to watch the 2016 presidency race from his living room than being humiliated in front of millions of people. I know it is enticing to think beyond the debates, the mudslinging; it’s very enticing to vie for the Oval Office. Be realistic Mr. Romney you are not presidential material; you’re not going to make it. The most courageous thing to do is to spare both yourself and your family of the tiring crisscrossing of the nation in the hope of selling your vision to America as the best candidate for the country. When asked after your loss in 2012 as to whether you’d consider another run, you said no to the idea several times. It is opportune time to live by that word. Let your No be No! And that is a very wise decision. Without you, America will do just fine.